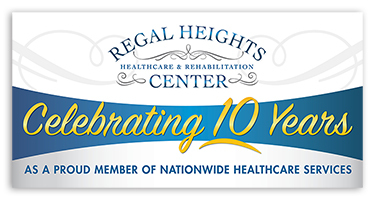 A newly conducted, short-term rehab satisfaction survey produced superior results for Nationwide Healthcare Services’ Regency Healthcare and Rehabilitation Center. The 1st quarter results (January-May 2016) showed that patients and their families held highly favorable views of the center and its staff, with little to no dissatisfaction among the people surveyed. The survey, conducted by an outside marketing firm, covered an array of issues including staff services, check-in and discharge procedures, and payment processes. Regency’s staff received highly favorable ratings in regards to thoroughly answering questions, being helpful, and making visitors feel comfortable. The center’s nurses received high marks for their courtesy and attending to the needs of their patients, while therapists scored well on approachability and skill level. Overall, 80% of those surveyed responded with a favorable rating of the total quality of care received (20% neutral). The survey also showed high satisfaction with Regency’s cleanliness and the quality of its dining services. The survey also provided more in-depth information on the patients receiving care at the center. Nearly all of the survey’s responders learned about Regency from referrals by a social worker or an independent medical professional. 60% of responders paid for their services through Medicare, with 20% paying through personal funds and another 20% through medical insurance. Patients responding to the survey ranged in ages from 51-81, highlighting the scope of rehabilitative services offered at the center. When asked to provide any additional comments, one assessor took the time to praise Regency’s Director of Admissions for her helpfulness and compassion, which made the process easier for their family. Nationwide is thrilled to hear that so many of Regency’s patients and their families were highly satisfied with their experiences and the care that they received. Surveys will continue to be conducted at all of Nationwide’s facilities, so they can maintain their reputation as premier destinations for rehabilitation and healthcare services.